A former flight attendant with 32S breasts who decided to “become black” says she is now a “true African woman” after being baptized under a new Swahili name, The Daily Mail reports. 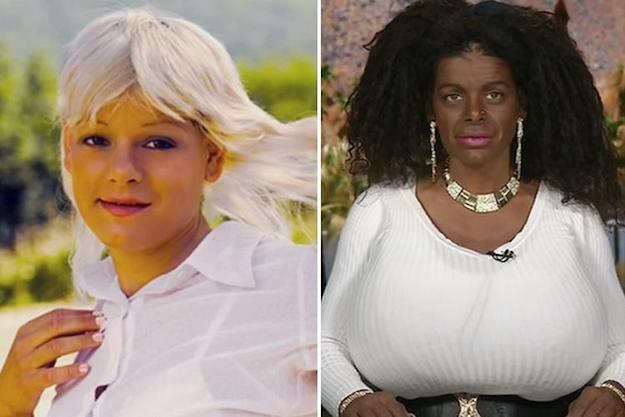 Martina Big, who has spent more than $50,000 on breast enhancements, decided to “become black” several years, vowing to get “dark and dark and see what the limits are.” Read on below for more. Tanning injections; melanin boosting injections. 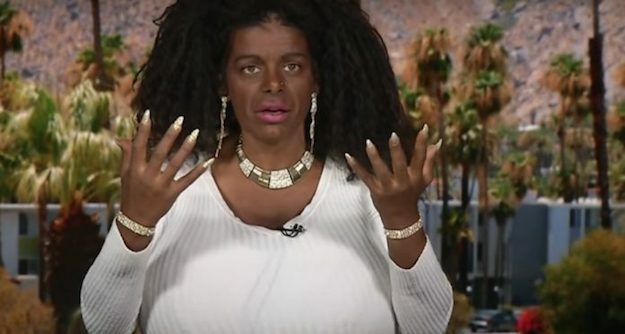 After going through significant tanning injections in the United States and undergoing three melanin boosting injections in 2017, Big — who claims she is 29 — was able to dramatically change her skin tone to “become black." Obviously, this has stirred up quite the controversy. Invitation to Kenya. Now, Big has flown to Kenya for the next step in her “transformation.” Speaking to The Daily Mail, she said: "One of my Kenyan friends told her pastor about my transformation to a black woman and told him how much I wanted to become a true African woman." Baptized under a new name. The pastor invited Big into his church in Nyeri, where she was baptized under the new name of “Malaika Kubwa,” The Daily Mail reports. In local Swahili language, her new name translates to “big angel." "Happy and proud." “I’m so happy and proud to be a real African woman,” Big told The Daily Mail. Additionally, she said she was “surprised [by] how many people know me in Kenya”— apparently, people were consistently stopping her for selfies. ”More African.” Big revealed to The Daily Mail that she is becoming “more African” by the day. "Recently, I had been asked several times, whether I noticed that also my facial features become more and more African,” she said. Hair. Previously, Big made headlines after claiming that her hair had become “naturally African.” She reportedly wrote in a blog post: “I was at my African hairdresser to change my extension. After taking out my extension I noticed how much my hair structure of my own hair has changed." Hair. “I compared my own hair with the hair of the other Africans in the salon,” Big added. “They are identical to my [sic].” According to her, this is “the clear proof” that she is a “real black woman now." An “internal” transformation. Big has dubbed her transformation into “black woman an internal one” that changed her inside and out, The Daily Mail reports. Beyond darkening her skin tone, the German native went from a C cup to a 32S. As a result, she now has to sleep on her back. Guinness World Record. 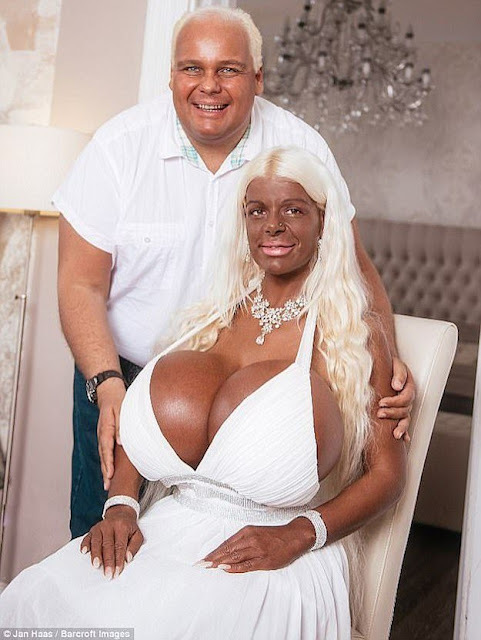 Big claims her goal is to hold the official Guinness World Record for having the largest breasts. "She said her breasts measure 49.6 inches, while her underbust measurement is 26.8 inches,” according to The Daily Mail. Guinness World Record. "My shoes don't get wet any more,” she proudly gushed to The Daily Mail. "For two years my breasts have been so big that I can't see my feet.” Big went on to reveal she currently has a nose job in the works to “make it look African." Reaction. 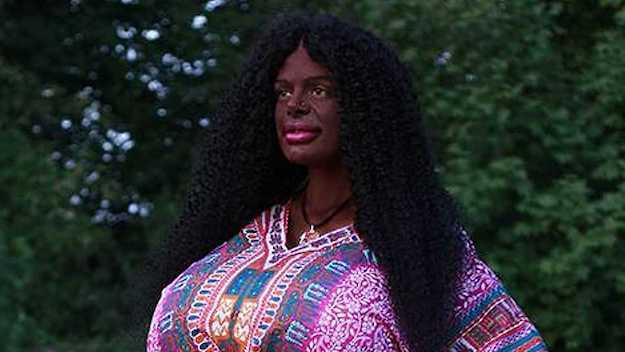 Unsurprisingly, Big’s claims of being transformed into a “black woman” have been met with mixed reaction. Over on the Daily Mail, one user wrote: “I don't what kind of DOCTOR she got to do any procedure on her. She obviously has a severe body image disorder and no amount of modification will be enough until she is in the ground." Reaction. Another user added: "Oooh she nailed it! No need to worry about the centuries of history surrounding the culture & the tiny issue of not having grown up as a person of that ethnicity and all that that entails. You just go ahead and rock the dark skin and fake afro. Idiotic individual. I find this highly offensive and I'm white."